Hi guys. Today I’m coming with a different approach as a lot of people who follow me usually consume digital marketing and internet marketing related posts for breakfast. I want to change this topic a little so you can get relaxed and focus on the simple things of life. Here’s a list of the top lifestyle blogs I’ve been reading lately. I also wanted to build this list because a lot of people ask me regularly about the best niches to create blogs and my answer is always the same one: the niche you should create is the one you’re passionate about (unless you’re in just for the money, but more about that in a second). The thing is you should care about your passion and your audience first and later you’ll realize there’s a ton of ways to monetize your blog traffic. Don’t confuse lifestyle blogs with personal blogs though. While lifestyle blogs can be personal from time to time, not every personal blog is a lifestyle blog. Lifestyle blogs focus on interests, activities and hobbies although they can become personal from time to time. This is probably one, if not the most, famous lifestyle blogs listed online. 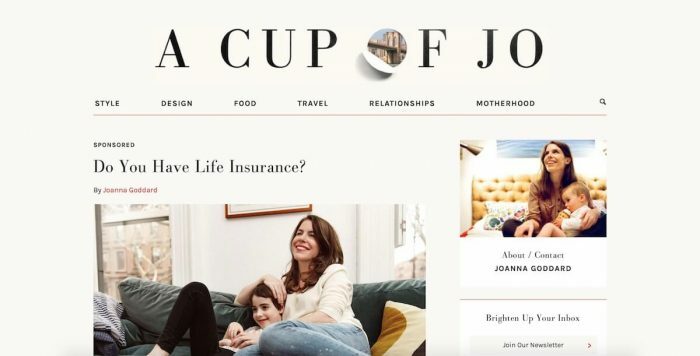 Joanna is well known as the queen of the blogs and she covers a lot of things including fashion, food, beauty, travel, motherhood and other related topics. 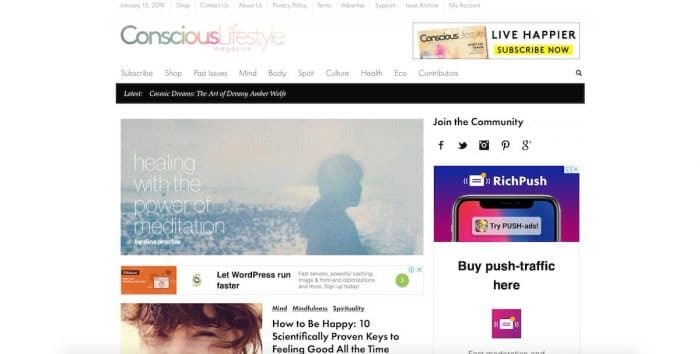 Jo connects to her audience in several ways based on her lifestyle and keeps a lot of readers coming back for more every single day. Also, it’s interesting to note the blog obviously struggled in its early days and took a few years to grow into millions of monthly visitors. That’s something most people don’t understand when building a blog. You need effort, time, patience and other qualities as pretty much every business does. Jo posts around 4 times per week. This blog makes most of its money from advertising. 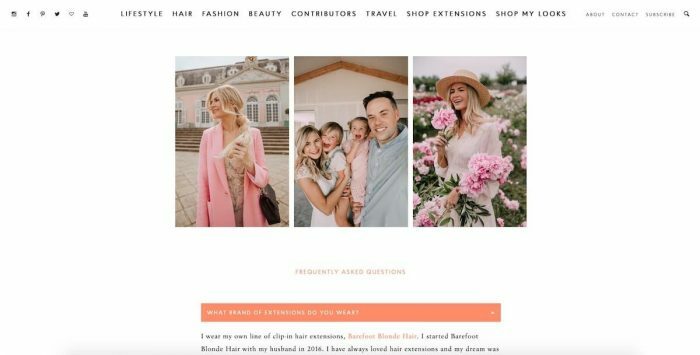 Amber Fillerup lives in NYC and she’s the creator of Barefoot Blonde, a lifestyle blog where she gives advice about the things she loves including hair, beauty, fashion, fitness and traveling with her husband and child although her main focus seems to be about hair. With 1.3 million followers it’s easy to understand why her blog is so famous. Some artists or actors in the industry don’t have as many. For some reason blogs founded by women tend to be more appealing for everybody, or is it? 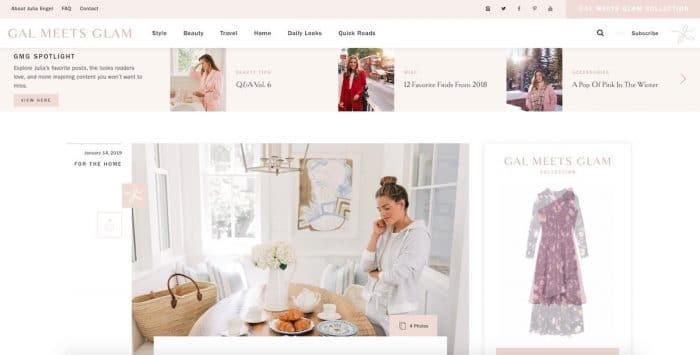 The motto of Julia Engel from Gal Meets Glam is to encourage her followers to add a little glamour to their everyday routines. I find this paradigm fascinating as a lot of people focus a lot on glamour and then there’s people who barely care about it. Adding just a bit of glamour could help people with their trust issues as well as develop other qualities like confidence according to each personality. The name says it all. This blog managed by Lauryn Evarts is a lifestyle blog focused on beauty, fitness and food. Lauryn has launched books, eBooks podcasts and Youtube Channels as well as her own mobile app to grab attention from different internet channels. Lauryn posts around 2 times per week and her stories can be very relatable, making it very interesting for her audience. After all, who doesn’t want to have a better healthy live by being fit and eating the right stuff? Traveling is one of my favorite niches as I love to discover and experience different cultures and places around the world. 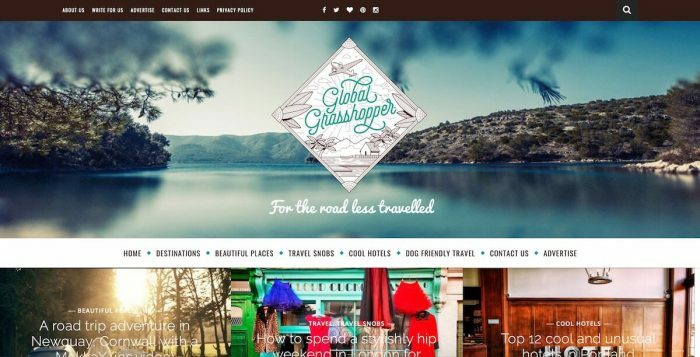 Global Grasshopper is an award-winning blog founded by Becky Moore, where she posts incredible photos from different locations we all dream to go visit. Being a travel lifestyle blog, you can always find hotel recommendations and flights, which make it a very easy to monetize niche with the proper knowledge. 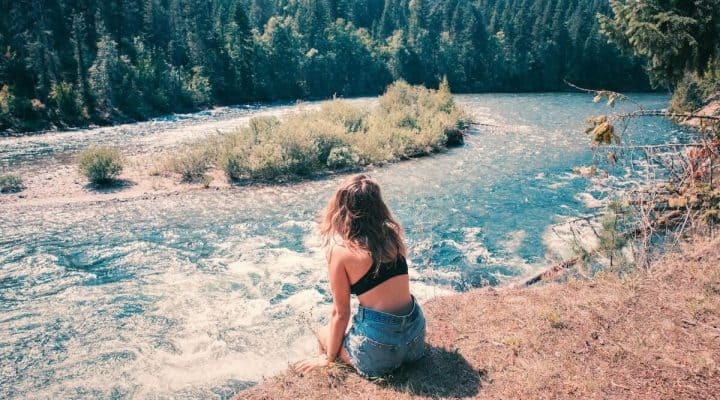 Becky has a small Instagram audience yet the quality of the photos will leave you dreaming about some magical places. 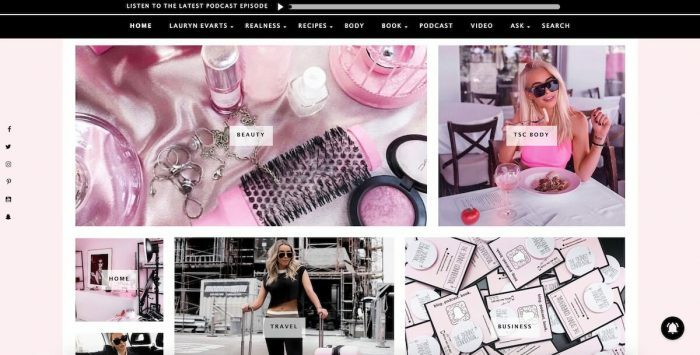 This blog was relaunched in 2015 by Chiara Ferragni and Riccardo Pozzoli and became a lifestyle magazine. If you think a blog can’t be a business think again. The Blonde Salad brought 8 million of revenue in 2015 and has a team of 16 people writing content with around 4 new posts per week. 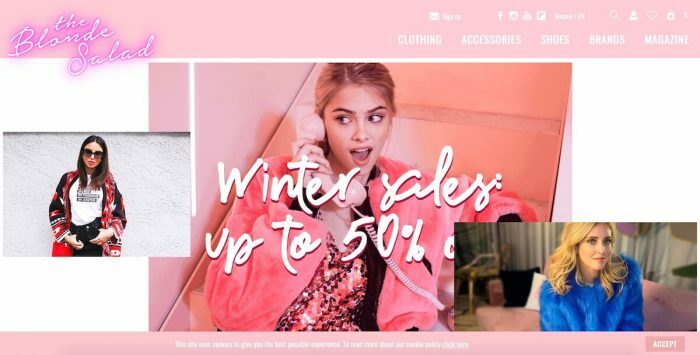 This has obviously made brands catch attention (we’re in the era of influencer marketing) so we know how the Blonde Salad monetizes its traffic. Chiara Ferragni is one of the top paid bloggers in the world with more than 8 million Instagram followers. Yeah, you read that right! In fact, if you’re an Instagram user you might have seen her photos or videos thanks to her wide reach as well as sponsored posts. Her goal is to inspire people around fashion, trends, beauty tips and lifestyle tips. This is one of the lifestyle blogs that motivate everybody about being fit no matter the age. Angela Bekkala founded this blog with the pure goal of making exercises fun and enjoyable. Angela covers yoga, running, workouts and fitness overall in her blog as well as some recipes to help you with your new year’s resolutions. 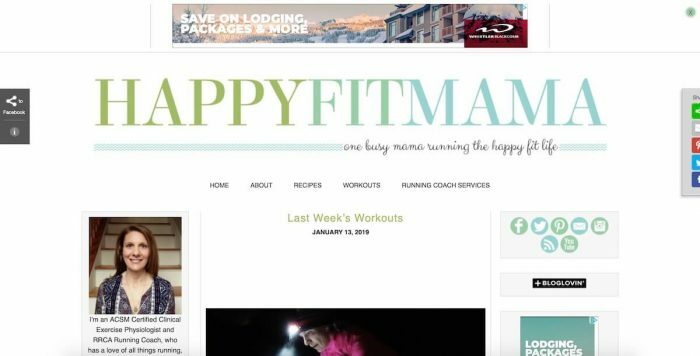 Happy Fit Mama posts about 3 times per month, but this haven’t stopped her from building a big audience. 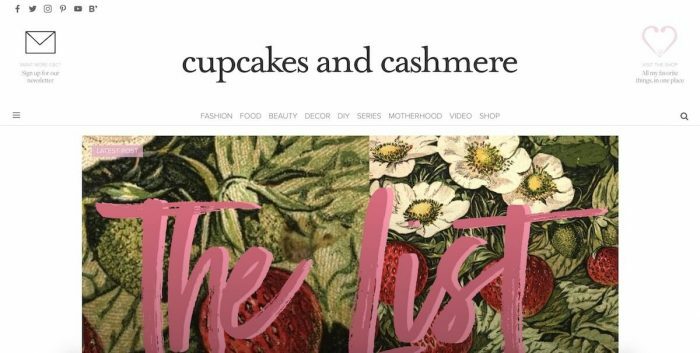 This lifestyle blog focuses on fashion and baking (yeah right!). Emily Schuman launched this popular lifestyle blog after a high profile career and now she also carries her own line of clothing. Emily prefers to focus on domestic lifestyle as this appeals a lot more people (a lot of women stay at home without being millionaires traveling around the world). Sometimes she speaks about motherhood issues as well, which can be very relatable for her audience. Her blog as around 400,000 subscribers and growing. First blog dedicated to men? Yay! Well, to be honest it’s easy to understand why women are more popular in the lifestyle blogosphere. But besides fitness or gym, man can also enjoy Men’swear Style. 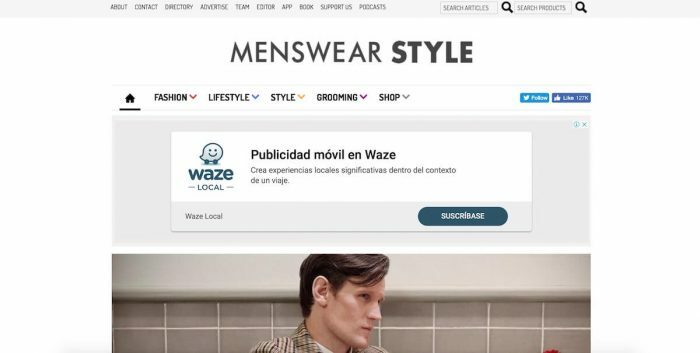 Managed by Craig Landale, this blog helps men keep up with the latest trends of the male fashion industry. This is the go-to place for anything about clothing for men although there are a ton more out there if you know where to search. This is more of a lifestyle magazine focused on improving the mental health as well as the physical health. If you’re into meditation, sleep, medical sound and other mental health practices this blog is for you. As bloggers we tend to be a ton of hours in front of our computers, so reading tips on how to keep both a healthy body and a healthy mind should be a no brainer. This blog seems to have an Asian philosophy and also helps people understand their life. As mentioned before, I eat, sleep and dream about digital marketing all the time. My second hobby is technology, so I read a ton of tech-related blogs on a weekly basis as well as follow a ton of Youtubers. I wanted to write this post for people looking forward to improving their life as that has been one of my main goals since last year. I want to be a healthy person and have a lifestyle based on my needs. Besides that, I decided to include a bit of data about their posting habits, their traffic and monetization methods. Next time you ask yourself how to monetize a blog in any niche, remember there’s people talking about their life and interests and making a killing as well with that. I like to read them because they have a nice website design too. Glad to see there was one for men in there. I could use some more tech blogs and lifestyle blogs for men. Any more recommendations in those spaces?